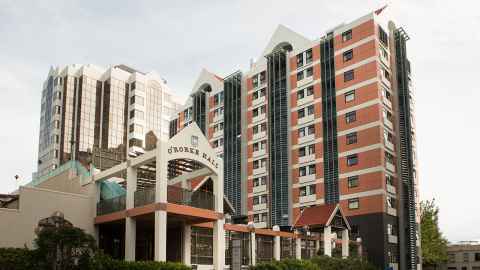 Just a stone’s throw from Queen Street, O'Rorke is home to 366 residents each year. 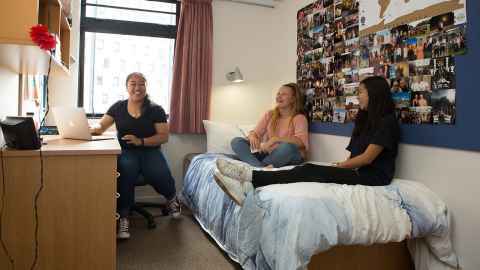 O'Rorke Hall is our second largest hall of residence, offering comfortably furnished single rooms in a 'pod' style formation on each floor. 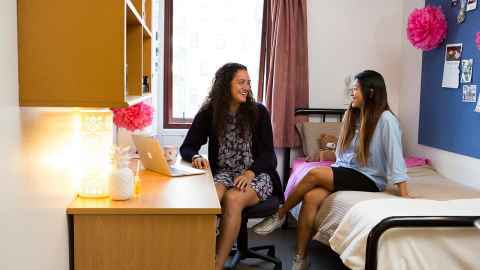 O'Rorke is a short walk to the centre of the city campus and main arterial routes through the city, making access to public transport quick and convenient. 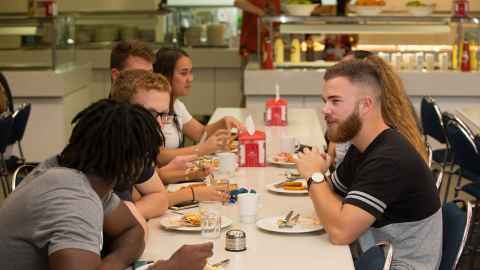 The accommodation management team provides personal support throughout your stay and arranges social and recreational activities during the year. The resident manager and resident advisors live on site, ensuring there is a duty person available 24 hours a day. Internet – wireless, included in fees. Location 16 Mount Street, Auckland Central. Distance to University General Library (Bldg 109) 750m (6 minute walk). Residential Agreement period Full academic year (38 weeks & 2 days) only. 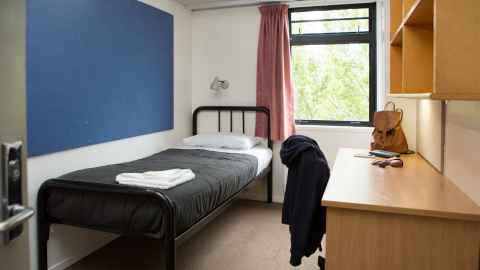 Every room comes furnished with a bed, wardrobe, desk, chair, noticeboard, bookshelf and towel rail. 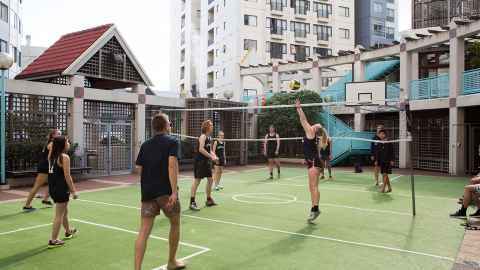 Electricity, water, internet, laundry and University gym membership is included. 2019 O'Rorke Hall Fact Sheet. Size: 836.5 kB. Type: PDF. Download this PDF file. Size: 836.5 kB. 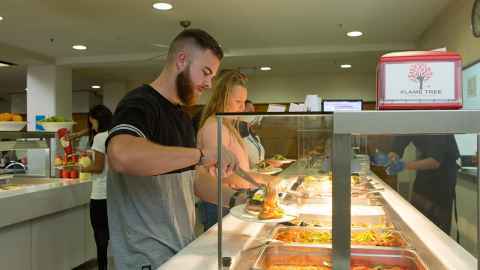 2019 Catered Hall of Residence Comparison Chart. Size: 810.4 kB. Type: PDF. Download this PDF file. Size: 810.4 kB.